Have you been looking for an easier way to clean your cat litter box? 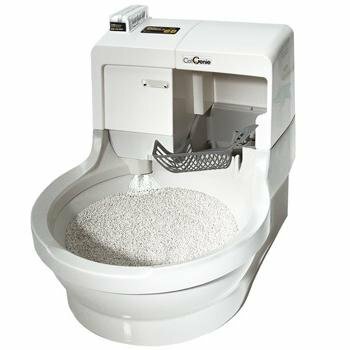 The best cart litter box we have seen is the cat genie self-washing self flushing litter box. this litter box uses plastic litter granules and hooks up to a cold water supply and the ones we have seen, drain down your washing machine drain hose. The litter box successfully dissolves solids and washes the litter and "flushes" after each use. It's a great way to keep you and your cat happy.